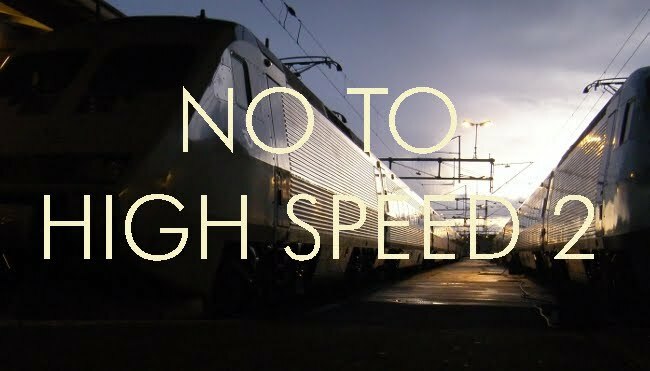 No to High Speed 2: How much does the IEP really cost? How much does the IEP really cost? According to RailStaff analysts at the DfT argue that the Hitachi IEP offers better value for money than an equivalent fleet of Pendolino trains. They claim that an electric IEP carriage costs £2,431,389, compared to an estimated £2.7 million for the Pendolino equivalent, and a bi-mode IEP costs £2,829,187. This is disingenuous. A fleet of Pendolinos was not the only option. These trains will replace mark 3 stock known to have a residual life of 20 to 30 years, as well as mark 4 stock which is only 20 years old. Existing stock currently running in HST sets could be converted for haulage by new electric or diesel locomotives. New trailer cars with a similar specification to mark 3 stock, seating around 76 with a decent amount of luggage space and legroom, should cost not more than a million pounds apiece. Standard locomotives such as the TRAXX are available for under £3 million, which could provide traction for newly electrified routes as well as replace the class 91 fleet if these cannot be economically overhauled and brought up to date. 26 metre length is also a bad choice. The Hitachi trains will be restricted to routes which have been cleared for this length, at considerable additional expense. The additional length means that the width will be less than a shorter vehicle, probably around 10 cm less, which is a real drawback at a time when more and more people are becoming obese. However if you get new stock (e.g. IEP or Penolinos) you still have the mark 3's & 4's which can be used elsewhere. Perhaps on routes which would not justify the purchasing of new trains or where there is no electrification due until towards then end of the working life of the Mark 3's or 4's. Also how would you provide trains to cover the loss of the carriages whilst they are being upgraded? Given that either it would take a long time (one set being done at a time) or require a lot of temporary trains (several sets being done at once). Most of the routes where mark 3/4 stock might be used are run by 158 or Turbostar EMUs, which could of course be cascaded to replace things like Pacers. But that would mean having to purchase a fleet of diesel locomotives. There is a need for some new hauled vehicles to cover the shortfall that you are talking about. Some new vehicles would be necessary as it would probably be easier than modifying existing stock to comply with accessibility regulations. But that would be better value for money than purchasing an entire new fleet of very expensive stock. There were a whole lot of Mk3 carriages for sale in Ireland recently. What happened to them? 140mph running - is it worth it?